Titles in this series are published together with Zed Books. This series of books seeks to provide accessible but in-depth analysis of key contemporary issues affecting countries across the African continent. Featuring a wealth of empirical material and case study detail, and focusing on a diverse range of subject matter – from conflict to gender, development to the environment – the series aims to give scholars a platform to present original and often provocative arguments. The Bushbuckridge region of South Africa has one of the highest rates of HIV infection in the world. Having first arrived in the area in the early 1990s, the disease spread rapidly, and by 2008 life expectancies had fallen by 12 years for men and 14 years for women. Since 2005, public health facilities have increasingly offered free HAART (highly active antiretroviral therapy) treatment, offering a modicum of hope, but uptake and adherence to the therapy has been sporadic and uneven. 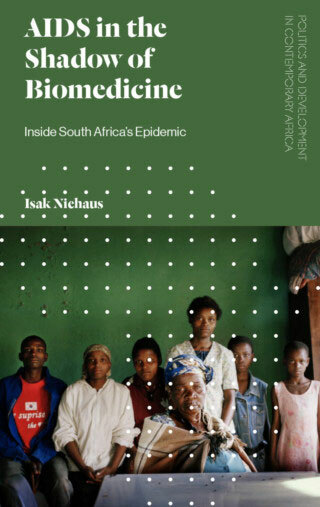 Drawing on extensive ethnographic research, carried out in Bushbuckridge over the course of 25 years, Isak Niehaus reveals how the AIDs pandemic has been experienced at the village-level. Most significantly, he shows how local cultural practices and values have shaped responses to the epidemic. For example, while local attitudes towards death and misfortune have contributed to the stigma around AIDs, kinship structures have also facilitated the adoption and care of AIDs orphans. Such practices challenge us to rethink the role played by culture in understanding and treating sickness, with Niehaus showing how an appreciation of local beliefs and customs is essential to any effective strategy of AIDs treatment.